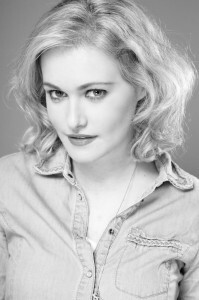 Lorna Weightman is one of Ireland’s leading fashion bloggers, stylists and presenters who works between Dublin and London. Lorna has contributed to many Irish & international publications, including independent.ie, U Magazine, The Irish Times, BBC World, and the Huffington Post. Lorna is no stranger to television and currently works as a stylist and commentator with Xposé on TV3, where she appears nightly showcasing the latest in fashion trends and news. In the UK, Lorna has become a permanent fixture on the fashion scene, and has previously contributed to Grazia Daily and the Metro UK on style and entertainment. Lorna has also worked as a roaming fashion reporter for MSN UK covering global fashion weeks and events. Most recently, Lorna provides lifestyle commentary for Today FM in Ireland, and BBC Arabia broadcasting from London. Among her clients and brand collaborators are Christian Louboutin, Louis Vuitton, Primark, Ted Baker, Opel, Audi, L’Oreal, P&G, Huawei Mobile and H&M. Lorna is also the national ambassador for Oxfam Ireland. You might notice that at the end of some blog posts there is a small information box. Well, if you see this box it’s because I need to provide some information on that particular blog post which you need to know. This might include whether a post is sponsored (i.e. a brand has paid for blog post) or where I got a gift of something (it’s nice to receive gifts but I also need to let you know when I haven’t paid for something). As well as that, I sometimes use affiliate links, mainly rewardStyle; this means if you click on the link, and go onto buy the item, I am usually paid a small commission on that sale. It’s always best to be honest, right?